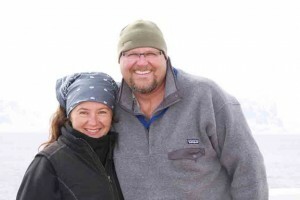 Max Hahne and Tammy Abbotts are the License Partner Owners of Engel & Volkers Collingwood Muskoka International Realty. Our head office is 15A Hurontario Street in Collingwood where we service the Northern boundary of Tobermory, the Western boundary of Lake Huron, the Eastern boundary of Dorset and the Southern Boundary of Creemore/Mulmur, Ontario. Our satellite shop is now open in Muskoka and we will be opening our satellite shop in Bruce Peninsula next year. Are you interested in learning more? We would be pleased to meet with you casually and discuss your hopes and dreams for the future. Our future involves travel, travel and more travel. Engel & Völkers can only be as good and successful as its licence partners and employees are. We concentrate our efforts on hiring the best and fostering their development on an ongoing basis. We are extremely proud of the fact that our managers and employees give rise to such an open, pleasant, warm and respectful corporate culture. We live by our core values: passion, competence and exclusivity. And we are proud of being a part of the large Engel & Völkers family. Would you like to join us too? Whether you work in a completely different sector or already have industry experience, Engel & Völkers offers you the foundations for success as a realtor. Together with our brand and our global network, you can benefit from the unique Engel & Völkers system platform and attractive sales opportunities. The global demand for real estate as a stable investment is on the rise, with no end in sight. As a result of its strong brand presence, Engel & Völkers is continuing to increase its market share at a breathtaking pace. With over 700 locations in 37 countries, we pursue an ambitious aim – to grow together with you and to impress our customers around the globe with our first-class service and the highest-quality consultancy. Right from the start, you can benefit from the reputation of a global brand with unrivalled presence, thanks to our unique, global shop concept and the clear, consistent Engel & Völkers corporate identity. The brand strength and its first-rate image will give you a decisive competitive advantage when it comes to the acquisition of customers and properties. Our international, continuously growing network offers you access to the world’s most beautiful real estate and the respective clientele – plus great earning opportunities. In addition to marketing within your own region, our referral system and countless cross-selling options enable you to generate attractive additional business. We provide extensive support to make sure that you get off to a successful start, right from your first day with us. For example, our very own Academy offers practical seminars, individual coaching sessions and webinars for an in-depth, tailored training approach that is valuable to both experts in the field and people from completely different sectors. Maximise your business with our professional IT and marketing tools, as well as standardized service processes. From seller or search customer acquisition and the marketing of real estate to after-sales service, we offer the ideal conditions at every stage of the marketing process for you to enjoy success on the market. Engel & Völkers is not just a real estate brokerage firm – it also represents a corporate culture that combines team spirit with a pioneering attitude in a very unique way. Our vision of linking the individual wishes of people around the world has been shaped by three attributes since the start: competence, exclusivity and passion. These are the core values of our company and our entire staff lives by them, every single day. If you have a charismatic, entrepreneurial personality and a talent for sales, as well as a passion for real estate and a fine sense of what discerning customers request, then you are just the right person for us – and Engel & Völkers is just right for you! 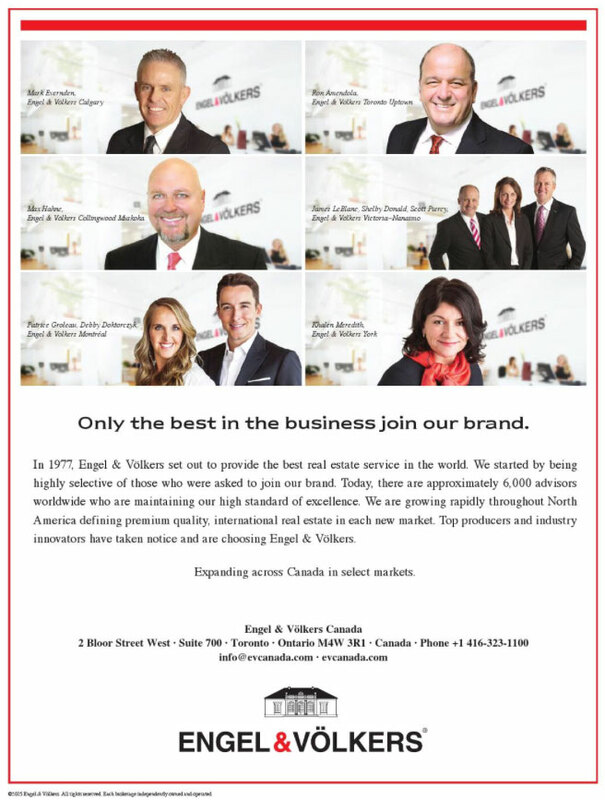 Choose Engel & Völkers Collingwood Muskoka and become part of the unique, global Engel & Völkers network! If you would like to know more about joining our team, we would love to hear from you.